Find this product here and here. 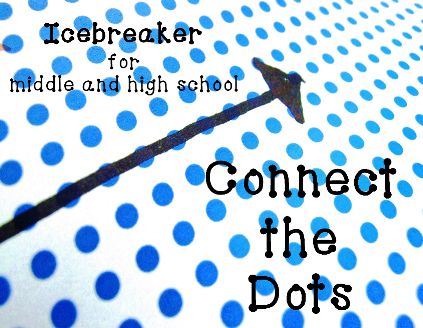 Use this great back-to-school icebreaker for middle and high school students to meet and greet or build team relationships. Students use the Connect a Dot handout to meet other students. Each student completes the handout, filling in personal responses to six questions. Next, they walk around the room comparing their responses to others and connecting the dots. This can be an independent or team competition, or just a discussion starter once the activity is completed. Detailed directions and example provided.